Last week I made the very difficult decision to stop publishing novels and restructure Panverse. Despite some small success and the immense pleasure of having helped launch several new and extremely talented authors and five excellent books, the workload is far too heavy for one person to carry. Since many of you reading this are writers and/or self-/indie publishers who may benefit from the knowledge, and some are our readers, I’m going to go into a little detail. I’d also rather have facts out there than wild rumour and fabrication. As some of you will know, after putting out the acclaimed Panverse Three anthology in 2011, I decided to stop publishing anything beyond my own work. 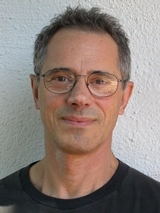 Although stories from my anthologies had received several award nominations and won the 2011 Sidewise Award, the returns were small and the work substantial. At the end of 2012, a writer friend approached me. 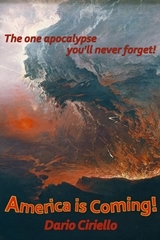 She wanted to invest in Panverse and work with me to expand it beyond Science Fiction and Fantasy anthologies and begin publishing novels across genres. We were both excited and energized. 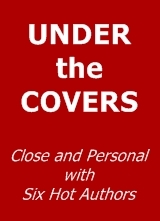 Unfortunately, soon after we signed our agreement, unexpected life circumstances intervened which made it impossible for her to participate in running the company; but by then we already had several books under contract. 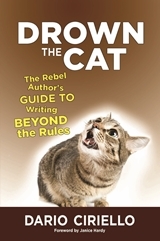 In the course of the next year, I edited, copyedited, formatted, and singlehandedly–with the exception of cover design–published six books, as well as working part-time. The effort was brutal, but I got the books out on the market in both digital and print form, and they look fabulous. Our authors were happy. Our 50% across-the-board author royalty is on a par with the absolute best in the industry, and our quarterly sales and royalty reporting detailed and utterly transparent. This is an achievement. Beyond the workload, though, I discovered just how heavily the deck is stacked against the small indie using POD (Print on Demand): mainstream reviewers won’t touch you; book bloggers are either overloaded, unprofessional, or both; your print costs are high; and brick-and-mortar bookstores, for all their talk about supporting indie publishers, are so locked into the odious returns system1 that they won’t give you the time of day, let alone stock your titles, unless you give them a consignment deal–which is an impossibility unless the store is very local. Amazon, it must be said, is your only friend. 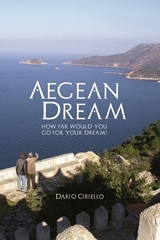 This is not to say that a solo indie author can’t succeed: clearly, many have, and I did with my first book, “Aegean Dream”, which has now passed 6,000 copies in sales. But trying to grow an indie that publishes work by several other authors across genres, while still writing, and all singlehandedly, has proved extremely demanding, to put it mildly. If asked, I’d say a minimum of two or three people are needed to pull it off, and one of them needs to be a marketing whiz. Since well over 600,000 books were published in the US last year–that’s over 1,600 a day–getting noticed is an incredible challenge faced by every author and every publisher. Even many titles put out by the big five publishers sink without a trace, with the vast majority of the marketing dollars going to a few proven authors with track records and to celebrity authors. On top of this, readers are increasingly distracted, buried in devices, games, social media, and, yes, other books all competing for their fragmented attention. Without a massive publicity effort (and budget), what makes a book successful is mainly reader word-of-mouth and simple luck, wild cards over which the publisher has no control. I’m immensely proud of both our authors and the quality of the physical books Panverse has put out in the last eighteen months, and reader reviews back this up (check out, for instance, the consistently solid five-star reviews of Bonnie Randall’s Divinity and The Python): our authors rock. These people deserve huge success. But despite all the hard work, no book can succeed without a lot of support and word-of mouth, and I have no more to give. Panverse has eaten my life for eighteen months, and I have my own writing and projects that have languished. Instead of letting things fall apart, I decided to cut the cord. This is not the end of Panverse. At the end of this year, the corporation will be dissolved and Panverse LLC will go back to being simply myself DBA (doing business as) Panverse Publishing. All rights for their novels will revert to our authors, who will then either self-publish or find other, more established presses. I’ll continue to publish my own works under the Panverse banner, as well as any SFF anthologies I might decide to put out (Panverse Four is already in the works). If you’ve enjoyed any of the titles Panverse has published, I truly hope that you’ll sign up for our monthly newsletter on the website–it takes thirty seconds–, where I’ll continue to inform our friends not only of new Panverse titles but also of new books by the authors we’ve published over the last eighteen months–Doug Sharp, Bonnie Randall, T.L. Morganfield, Richard Weinstein, and Don D’Ammassa; and of course I have new books and story collections of my own coming as well, and am planning audiobooks of Aegean Dream and my novel, Sutherland’s Rules. The newsletter is just once monthly, we keep your details private, and we never spam. And if you’ve not yet read any of our titles, perhaps you’ll check them out on the Panverse website, where you can preview and directly download most titles as eBooks; and of course print and digital editions are available from all online booksellers. Thanks so much for your interest in Panverse, in our authors, and in me. I hope that you’ll support me in moving forward. 1 The returns system began during the great depression, when publishers started to offer cash-strapped bookstores books on a returnable basis if they weren’t sold within six months or a year. After that, the books could either be destroyed or returned to the warehouse and the cost refunded to the bookseller., Unfortunately, this system has persisted to the present day, and is immensely costly in accounting, in hard dollar, and in environmental terms (I could find no hard data, but the number of returned books annually is certainly well into the millions, and probably in the tens of millions). If this system were ended–something no publisher has yet had the courage to do–the retail price of print books would probably drop by 20% or so at a stroke. The traditional book publishing and distribution model is so broke it’s laughable; but although we have the technology in place to utterly change it, nobody seems keen to really take a swipe at it. Material, perhaps, for another blog post.